Ok, so this was only the second time I had been kayaking. 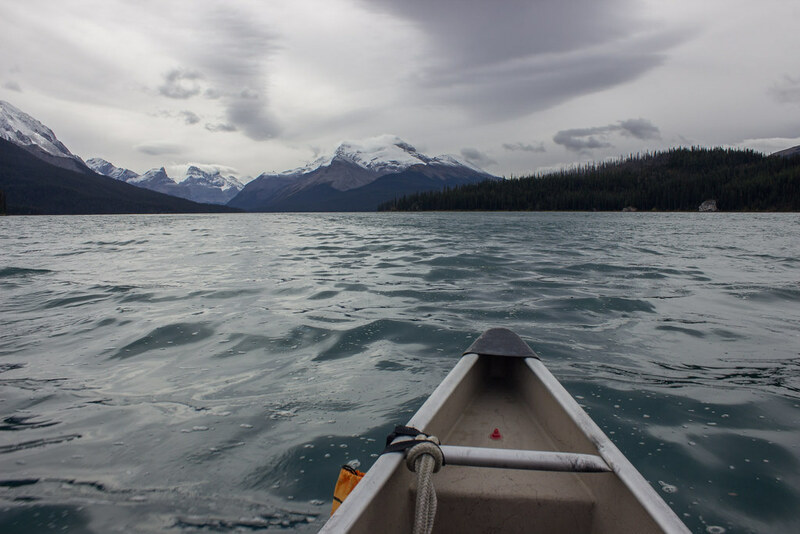 But, it was significantly less fun than the first time and unless I ever capsize, I think kayaking in heavy wind on Maligne Lake will always be my worst kayaking experience ever. 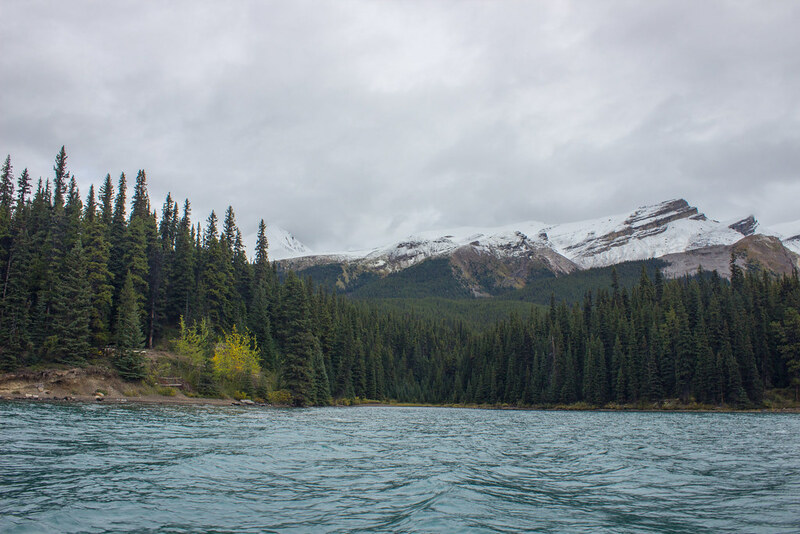 Before we went to Canada, Daz and I spent a lot of time researching and considering where we wanted to go kayaking in Canada. 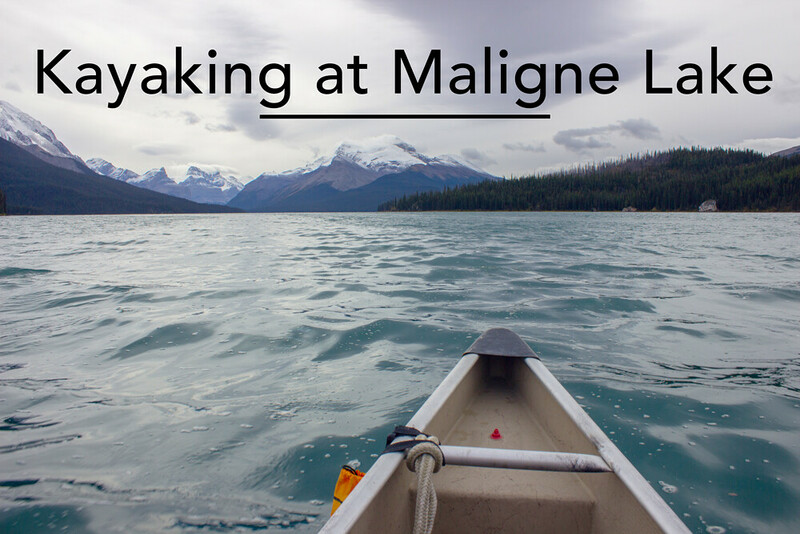 We settled upon Maligne Lake because it looked incredibly beautiful and we thought it wouldn’t be crowded, because it’s such a large lake. 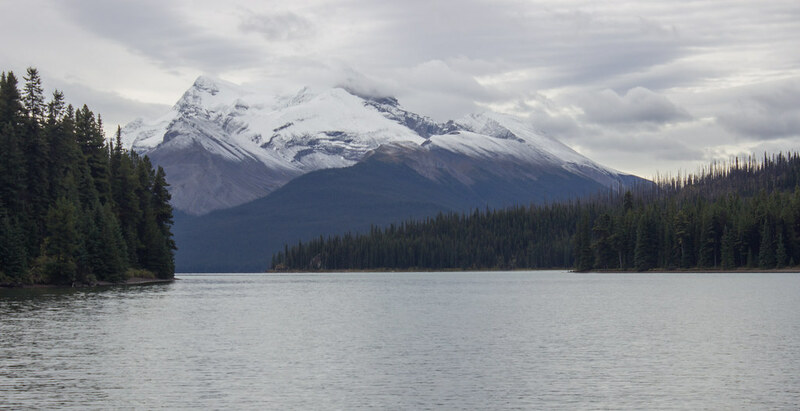 Granted, Maligne Lake and it’s surroundings are beautiful. It really is. It was the weather that was the problem. Before we went out, the guy in kayak rentals warned us it might be a bit windy. We’d walked hiked a trail near the lake earlier on and it didn’t seem that bad at all, so like absolute morons we thought “eh, can’t be that bad” and happily got in our kayak. Happy faces did not last that long. Well, not on my part anyway, as we rapidly discovered that yep, it was pretty windy indeed. We were kayaking against the wind, so trying to go in a straight line was pretty hard and tiring. We would point the kayak in the direction we wanted to go and the wind and waves would just spin us around. It turns out that I do not handle trying to kayak in a straight line in heavy wind very well and had a small freak out. I was convinced that we were going to capsize, drown and die. Though, I would argue that’s a reasonable fear to have given it was my second time kayaking and I’m not a great swimmer. And like a kid that’s more concerned about their bike when they fall off it, I didn’t want my cameras to get wet! Daz managed to calm me down and we did manage to explore a bit more of the lake, and saw other people in boats and kayaks struggling to end up where they wanted to go. 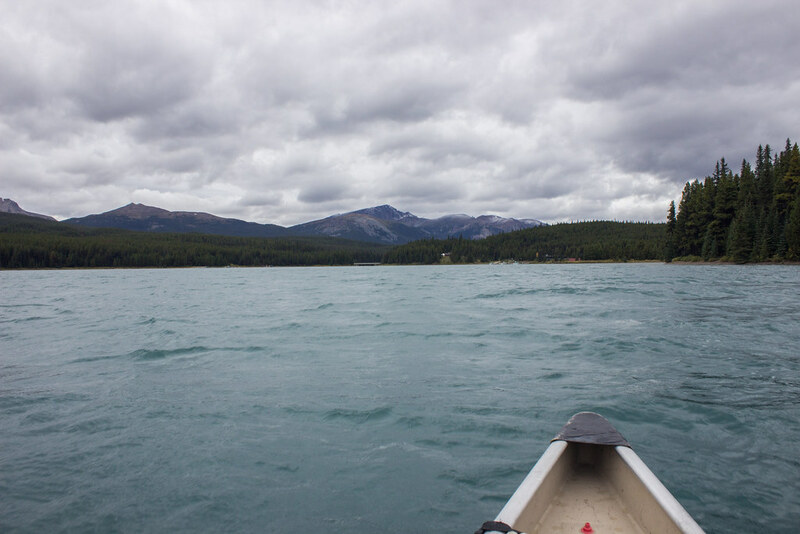 After about an hour of this, we were done for because the wind picked up even more when the lake widened so we couldn’t make any progress and it kept turning us back around. 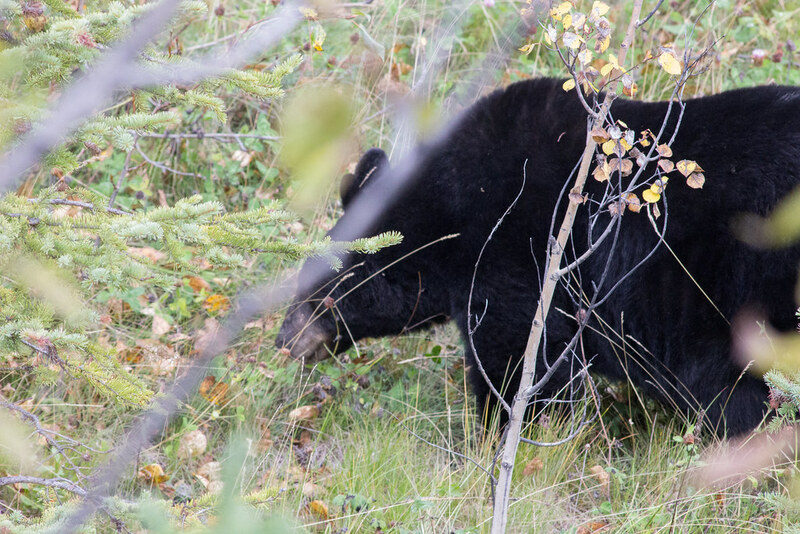 We decided to listen to the wind and headed back. Much to our annoyance, it took us 10 minutes to get back to the boat house in comparison to an hour it had taken us kayaking against the wind. 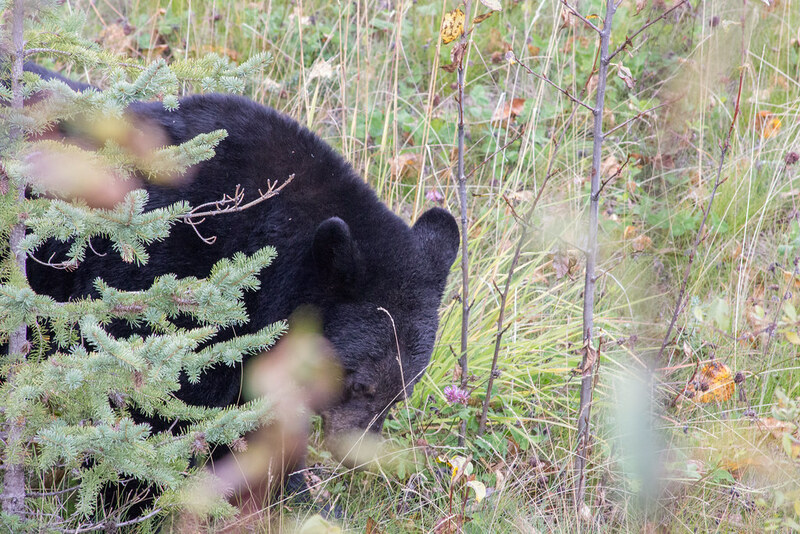 As if the universe knew it had some making up to do, we saw a little bear at the side of the road on our drive back to Jasper. 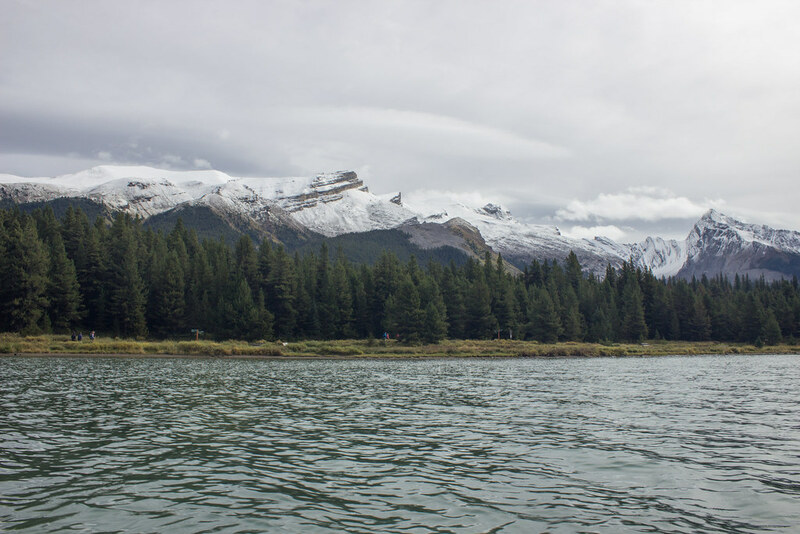 There is a happy kayaking story from Canada though, which I will post about soon. 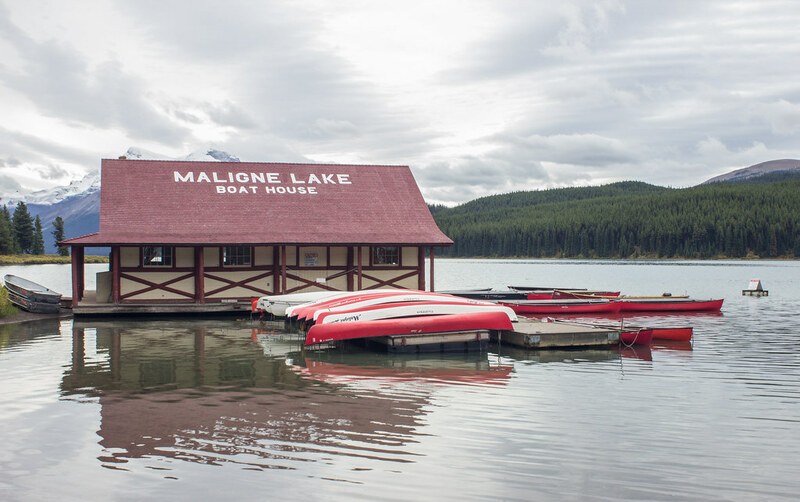 If you’re thinking about kayaking at Maligne Lake, I say go for it; unless it’s windy. If it’s windy, get back in your car and drive away before your brain tells you “it can’t be that bad,” and come back on a calmer day.